Please join the founders of Randolph Community Orchard for an information session about our plans for the orchard. Bring labeled cookies for the cookie potluck if you feel inclined, or just bring yourself. 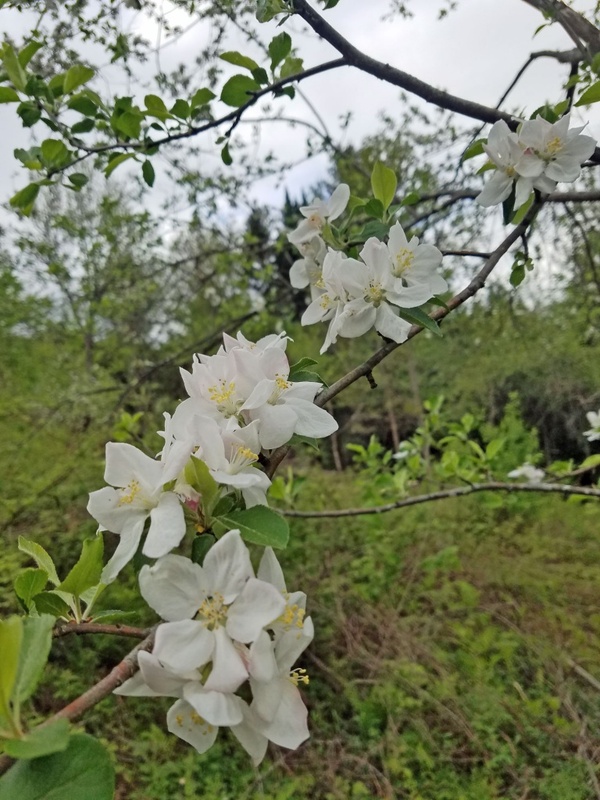 apple blossoms, coming soon to the apple trees near you! We are excited to partner with BALE once again to host a Pruning, Grafting, and Planting Workshop! Join Nicko Rubin of East Hill Tree Farm (www.easthilltreefarm.com) for a workshop on pruning, grafting, and planting fruit trees. This is a great opportunity for the novice home orchardist to gain exposure to basic topics, as well as for the more experienced orchardist to pick Nicko’s brain and exchange knowledge. Rootstock and scions will be provided for grafting so you can take home your own grafted tree. 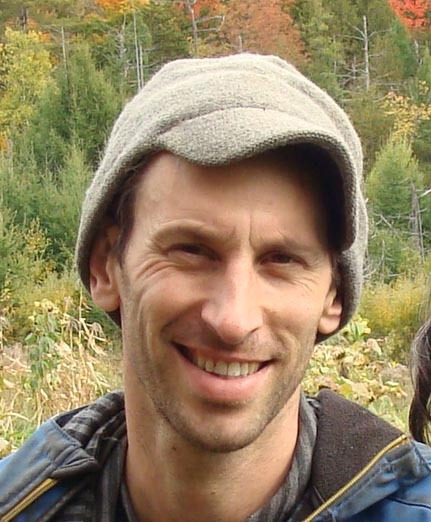 Nicko Rubin owns and operates East Hill Tree Farm, nursery and demonstration farm for fruit trees, nuts, and berry plants in Plainfield, VT. He provides edible landscape consultation, design, and planting. He holds a master’s degree in landscape design. Randolph Community Orchard is so excited to be partnering with BALE to host our first educational event! Please join us for a scything demonstration and tutorial at the site of the future orchard. We will be mentored by local resident Peter Leonard. 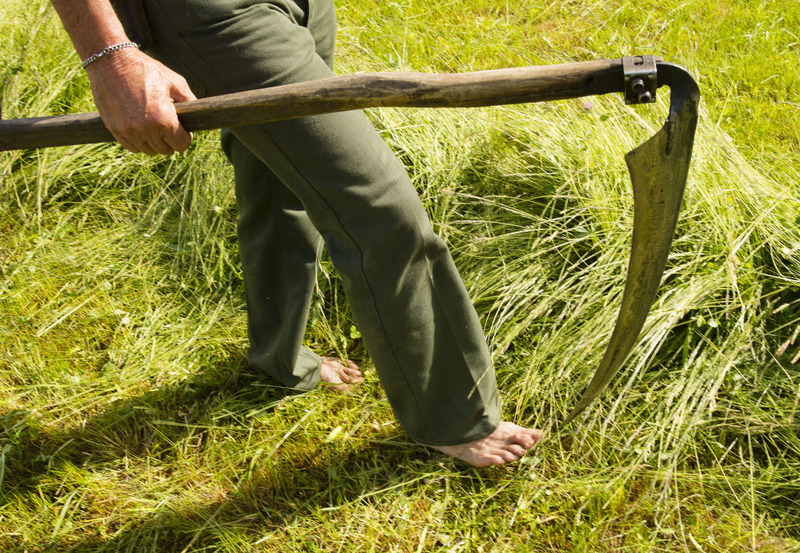 Bring a scythe if you have one, or borrow one of ours! This workshop will last for around an hour. Bread and soup will be provided. Intro to Scything is the first class in the Resilience University series organized by BALE (Building A Local Economy) in partnership with Randolph Community Orchard. Resilience University is a learning laboratory for the White River region, launched by BALE to offer practical, hands-on skills, knowledge and wisdom for all learners. Starting in October 2018, it will offer classes, courses, discussions and demonstrations that develop resilience skills that strengthen the capacity of local communities to thrive and transform in the coming era of climate disruption and cultural change. For questions, please use our contact form. 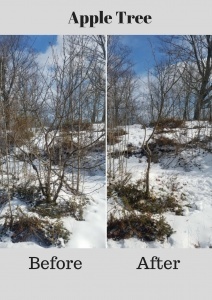 When we proposed establishing an orchard on this land, we were guided by the understanding that the land was of marginal (immediate) value for hay production or tillage crops due to a recent history of neglect and likely disturbance during the construction of the adjacent Interstate 89 in the late 1960’s. Our belief in the suitability of an orchard came primarily through walking the land and observing that the hedgerows, crowded onto rocky outcroppings, were home to some three dozen young wild apple trees, some producing fruit. We quickly found another 30-odd apple saplings and another 20-odd hawthorn saplings, which can be used as rootstock for grafting pear varieties. Without any human work or inputs, indeed through neglect, this land managed to grow nearly 100 trees on rocky outcroppings, which can now be managed and nurtured for better fruit production. The land also has several Butternut trees, a couple of which are in good shape and producing nuts. 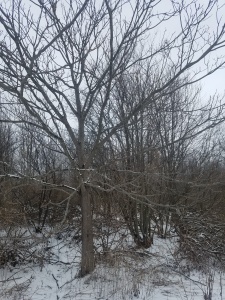 In one spot there grows a butternut overstory producing nuts, with a taller and shorter shrub layer including native Serviceberry, and Elderberry. Again, this happened without any human intervention. With all that growth happening on the areas that were unsuitable for even a brushhog, we predict that the soils of the open field will be even more productive. The vast majority of fruit and nut trees do not reproduce true-to-kind from seed. That is, if you have a wonderful apple growing on an old farm and you take that apple home, extract the seeds, and plant them, those seedlings will not bear the fruit that the parent tree did. The way that a certain variety is passed down and disseminated is through grafting, that is, joining a cutting (a scion) from the desired tree to a rootstock. While there are dozens of methods and variations on forming a graft union, it all hinges on aligning the cambium (the green, living part) of the two pieces. 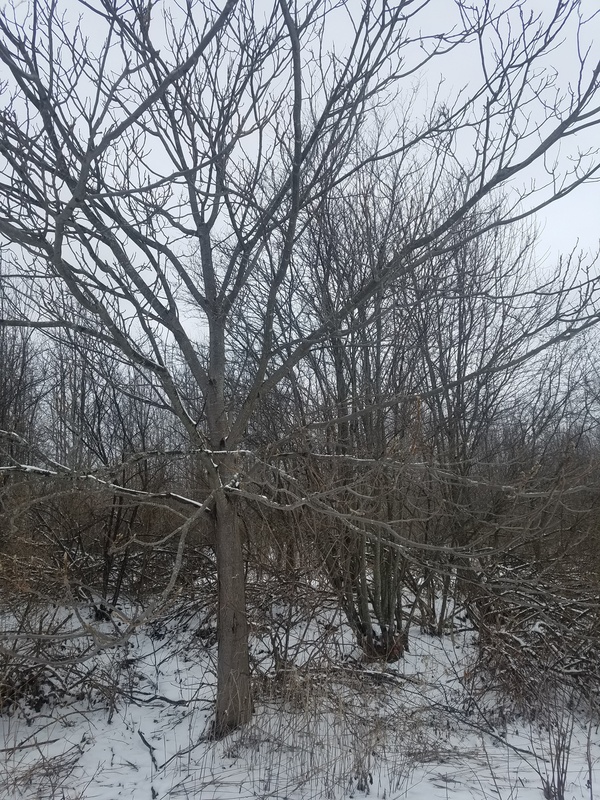 There was originally only one tree that someone liked and called “McIntosh” or “Wolf River” or “Hudson’s Golden Gem” and twig by twig, that variety was grafted and planted into hundreds or thousands of backyards and orchards. In preparation for grafting season, we have been gathering scionwood from various sources. Some are heirloom varieties from abandoned orchards, some are from the hedgerows of surrounding farms, suggested by neighbors. Some are from the collections of other local enthusiasts. 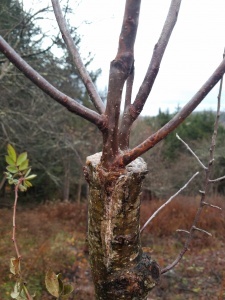 This is a picture of a graft from last year on our home orchard. The scion is Maiden Bush on a wild rootstock. Such a large rootstock has the benefit of years of established root growth, so a grafted scion can put on rapid growth in one season. 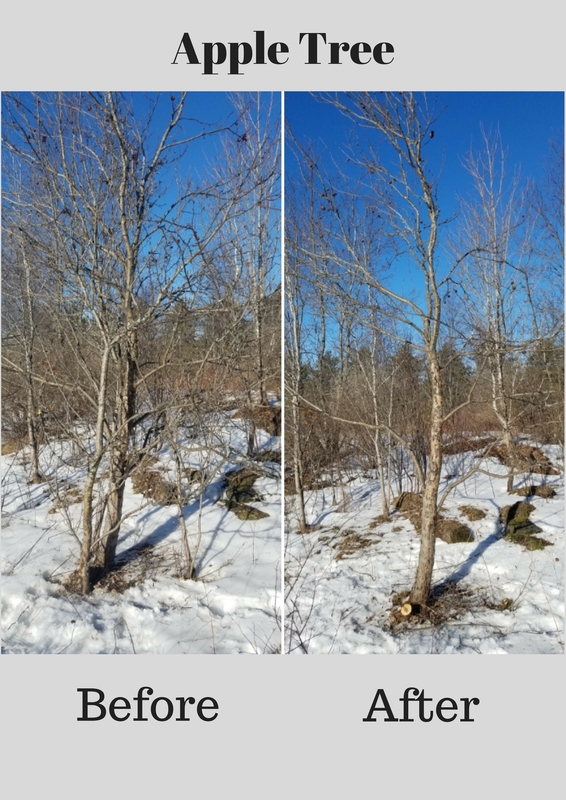 Besides grafting, much work has been undertaken to release wild apple trees (ones that will be grafted onto) from competition with more vigorous trees. Left to their own, apple trees tend to produce multiple stems which compete with each other and can decrease fruit production. 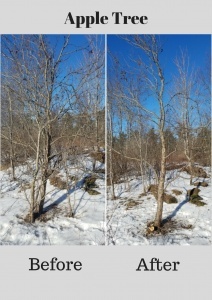 While there was a lot of preliminary pruning to be done, most of the trees revealed a good usable structure. Thank you for reading. Soon, we will post about the process of gathering scionwood. We are also working on a blog post about the history of this land and its recent conservation. Stay tuned!